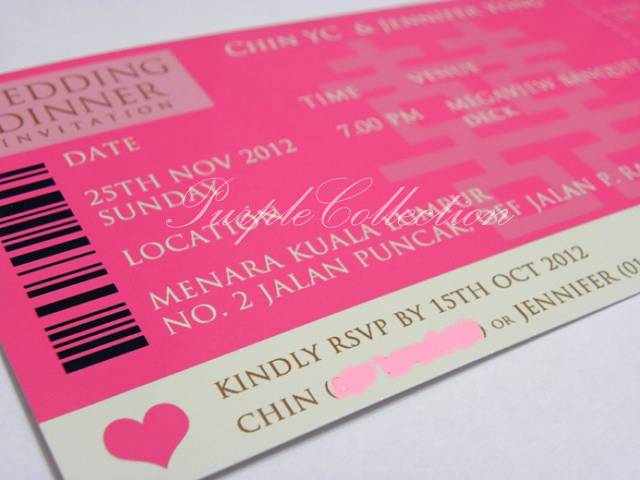 This lovely magenta boarding pass design is designed by Jennifer from Kuala Lumpur. Each of this boarding passes come with an ivory gold cover. We handmade the covers and printed the cards. Thank you Jennifer & Chin for your support! 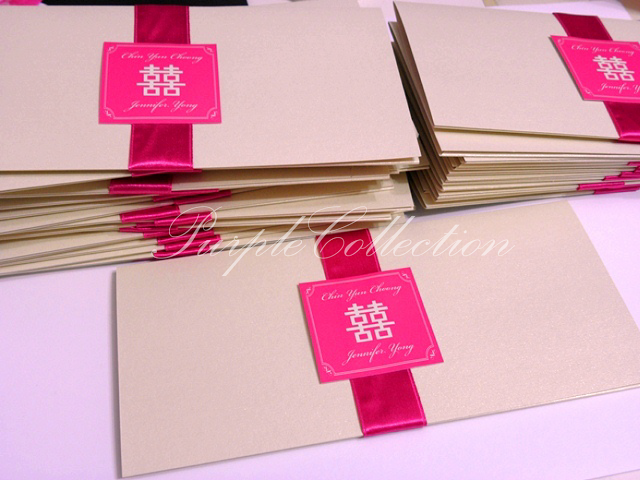 To inquire about Boarding Pass Wedding Invitation Card, please contact us. ﻿Thank you!